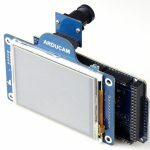 This camera shield is replaced by newer Rev.C+ shield and ArduCAM-Mini board. 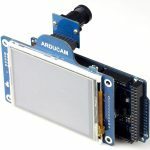 ArduCAM shield Rev.C not only work with Arduino boards, it now can be ported to any platform easily because it use standard SPI bus. 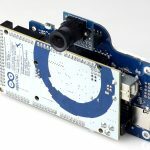 We now are busy with Raspberry Pi and helix_4 porting. 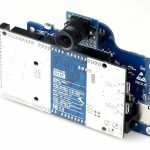 The helix_4 FPGA module is an efficient, low cost Altera FPGA System on Module designed to give design teams the best possible FPGA development experience, for more information please visit thin-layer-embedded.com. 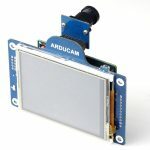 ArduCAM shield Rev.C also provide low power feature for battery powered device. 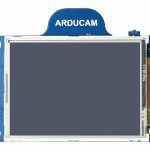 When it is in idle, user can shut down the LCD back light OFF and disable FIFO and etc to reduce power consumption, and prolong battery. 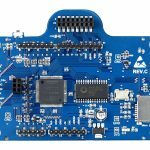 This entry was posted in Introduction and tagged ArduCAM Rev.C, BeagleBoard, BeagleBone, MT9D111, OV2640, OV3640, OV5642, OV7660, OV7670, OV7675, OV7725, pcDuino, Raspberry Pi by Lee Jackson. Bookmark the permalink.